Gallery pages are available for all Unity Arts Club Members currently enrolled at the BCC. Each member may show up to 15 pieces max, on their page. See gallery examples to choose your gallery style. Note which TYPE OF GALLERY you want. See gallery examples – If no gallery is specified, you will get a 5 column thumbnail gallery. Last but not least. Don’t forget to include your NAME! ALL images MUST be optimized for the web. No image should be more than 350KB…and that’s pushing it. You can add video to your gallery ONLY with an embed code. 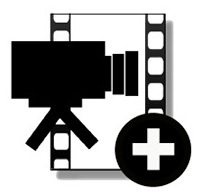 Upload your movie to YouTube, Flickr or Vimeo. These are the ONLY formats allowed by WordPress.com. Get the embed code – usually by clicking the share or embed button (see below). Choose your video size & copy the embed code. Paste your embed code into the body of your submission e-mail like this: Video name or number : your embed code. See examples of video sizes on a gallery page. 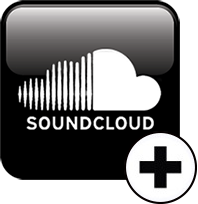 Join SoundCloud (no way out of that one) and upload your audio. Get the embed code – How to find the embed code. If the WordPress icon is not in the drop down menu, go to the bottom of the box and and click on “more”. Find the WordPress Icon and click on it. Paste your embed code into the body of your submission e-mail like this: Bite name or number : your embed code. Sound bites can NOT be added to a gallery slide show.